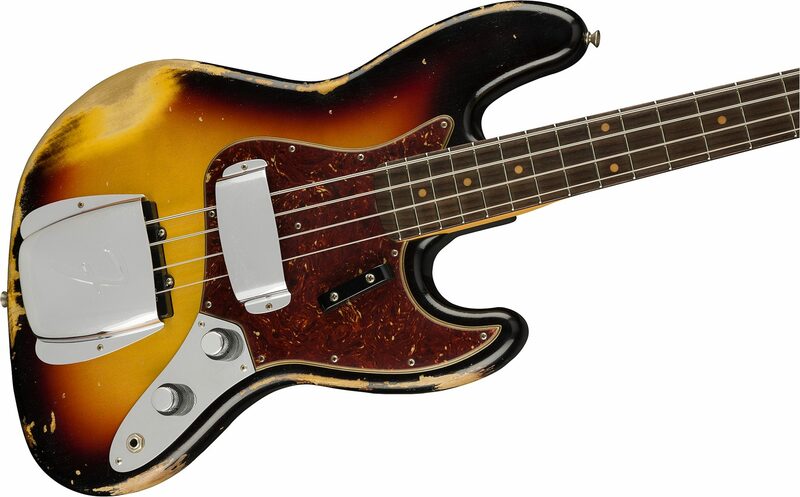 Originally released in 1960, the Jazz Bass was a robust-sounding, smooth-playing successor to the P Bass. 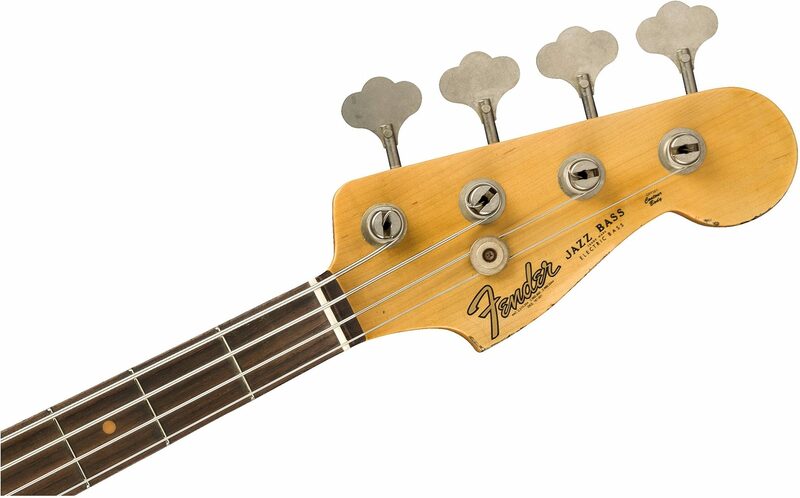 The Fender 1961 Jazz Bass Heavy Relic is an homage to this iconic instrument, complete with vintage-style concentric knobs, and for the purists -- felt mute tips in the case candy. The two-piece alder body is crafted from tone wood selected for its light weight and attractive grain, and wears a Heavy Relic lacquer finish, giving it the look and feel of a well-played vintage model with a long service life. The fast-playing, tinted quartersawn maple neck sports a " '60 J Bass U"-shaped profile, along with a modern 9.5"-radius fingerboard and 20 medium-jumbo frets that grant it a familiar feel. 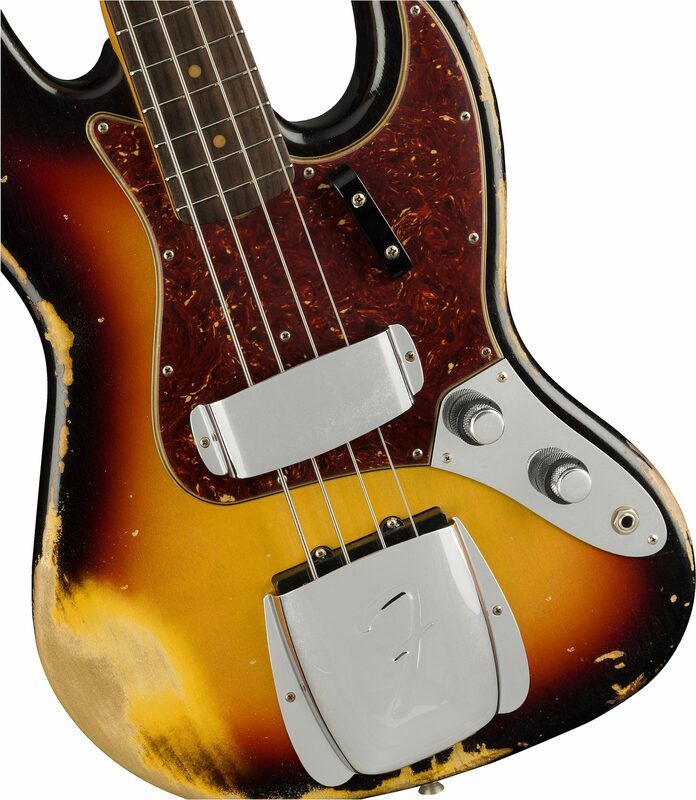 Packed with authentic Jazz Bass tone, the pair of Hand-Wound Vintage Jazz Bass pickups growl with pure power. Other features include 4-ply Tortoiseshell pickguard, vintage-style J Bass bridge with threaded steel saddles, vintage-style tuning machines, bone nut and round string tree. Includes deluxe hardshell case, strap and Certificate of Authenticity. 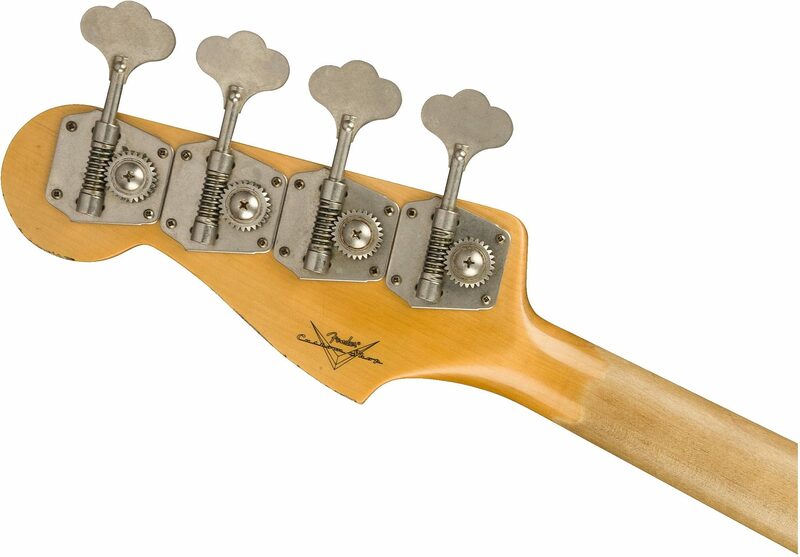 - Neck Shape: 1960 "U"
close [x]More ExpectedWe have been given a date of Sep 17 for the arrival of this item. This date is not guaranteed, rather an estimate based on either information obtained directly from the manufacturer or historical delivery data for the specific manufacturer.